Rewind to August 2008, and Leigh Van Der Horst was immersed in grief following the loss of her mum Joanne. 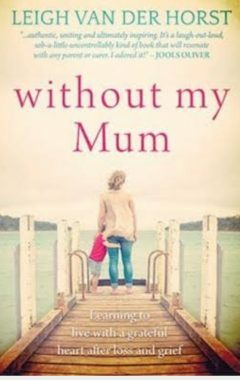 She utilised the power of social media to connect with other motherless women, and through a series of serendipitous connections took the brave step to put her thoughts into a book, ‘Without My Mum‘. Leigh knows grief has the power to transform; a beneficial insight for us all. By Leigh Van Der Horst. With all my heart, I ask ‘how are you doing..?’ Mothers Day is here. Everywhere we look, pink, floral banners are splashed throughout stores. Even the mundane task of food shopping is a slap in the face as the vibrant stands full to the brim of cards just beam out at us like spotlights coaxing us into a nightclub! The radio in the car is telling us that we ’must not forget to buy our mother something this Mothers Day’… You know..? To make her feel special and all… It’s enough to send you bark raving mad! But, instinctively, over time, you manage to block this noise from potentially hurting your heart. You naturally find a way to walk past the perfectly placed ‘merchandise for mum’ without even glancing. You find a way to survive the threat of pain, that old familiar ache in your soul. When I think about it, I guess, the fact that I have learned to switch off is unfair in itself. I am a mother. I deserve to trawl through the carefully placed ‘mum worthy’ items and create a list of what I might like. I have earned the right. 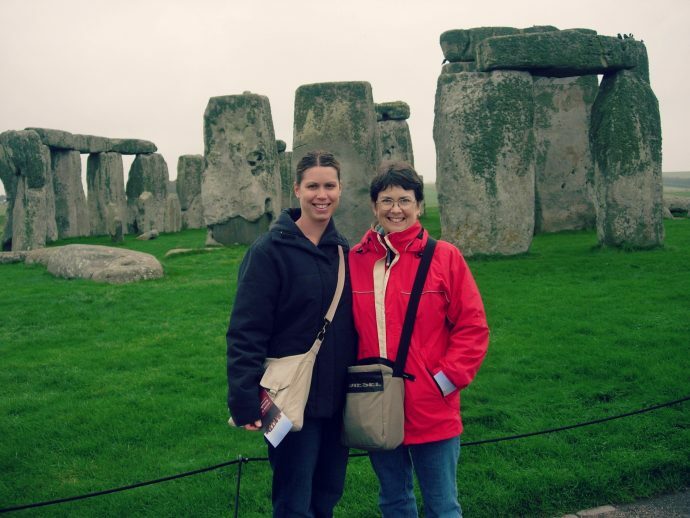 But, if I do, my mind taunts me and I think of these gifts more for my own mother and not I and then, the process of feeling the loss starts all over again. It is just not worth it. Grief is hard enough without having it amplified each year. And every year, as the importance of ‘hard selling’ increases, it becomes more challenging to avoid. I lost my dear mother to cancer on August 3rd 2008. One day after my eldest sons 8th birthday, her first grandchild. I am coming up to my 8th Mothers Day without my mum and although I am sadly used to not having her around to spoil, the sense of ‘celebrating mum’ when I actually can’t does still hurt. The fact is, she deserves to be here and be spoiled. We keep quiet, us Motherless women. We dart our way through the stores, past the signs, with our heads down, swallowing the emotion that threatens to rise and we just deal with what our life threw at us. That is what we have learned to do. We have an off switch that we use when it all becomes a bit too overwhelming. It does feel unfair but we know that we can’t change anything. We have accepted or are on the path of accepting our fate and we know there is no point in bothering others with our emotional turmoil. We see other women shopping with their mothers and we want to run a mile. Over the years I have somewhat mastered the successful survival of the gloomy ‘Mothers Day’ season. The most important thing at times like these is to be aware that you are more vulnerable than usual and you need to take good care of yourself. You may not be sleeping as well as you normally do, your mind might be a little scattered, you will forget things and you are sure to be feeling low. These times demand more from you emotionally and physically and so because of that, you need to take things slow. You must not ever apologise for feeling this way. It is just how it is. You loved and lost and again, the world is reminding you of that loss. Tell those around you that you are finding it tough. Lean on the people you love for strength. Know that your mother is walking each step with you, sending hugs anyway she can, delivering her love as she always does… You have lost her physically but I strongly believe that our mothers are still with us, somehow. Most importantly, my darlings, know you are not alone. We are in this together and we build each other up. We support, we encourage and we inspire one another as we walk this life journey hand in hand. All of those feelings you are experiencing are normal. We have all been there or are still there, just know that your fellow motherless women walk alongside you, helping you in those rough times. Time does heal, that is true. The pain does lessen. The memories stay firm but the sadness eases. Trust in yourself and open your heart and allow the beauty of life to creep back in over time. Take all the time you need and treat yourself with the respect you deserve. 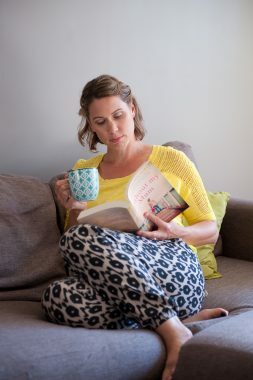 It’s been an honour to run this healing Mother’s Day series, hear from news presenter Candice Wyatt here Age journalist Lawrence Money here and writer Kellie Curtain over here. Main photo: many thanks to Katie Toland Photography. 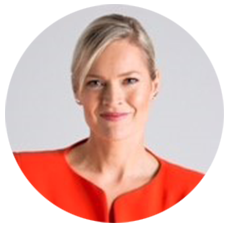 If you are also determined to sprinkle some goodness and healing in the world, check out the ‘Ambassadors for Good’ project find out more here. 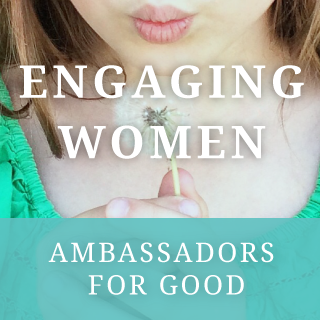 Tagged in ambassadors for good, motherless women.